A lot of people will recognize The Scout statue from its many appearances in commercial bumpers during Chiefs games and other sporting events on TV. 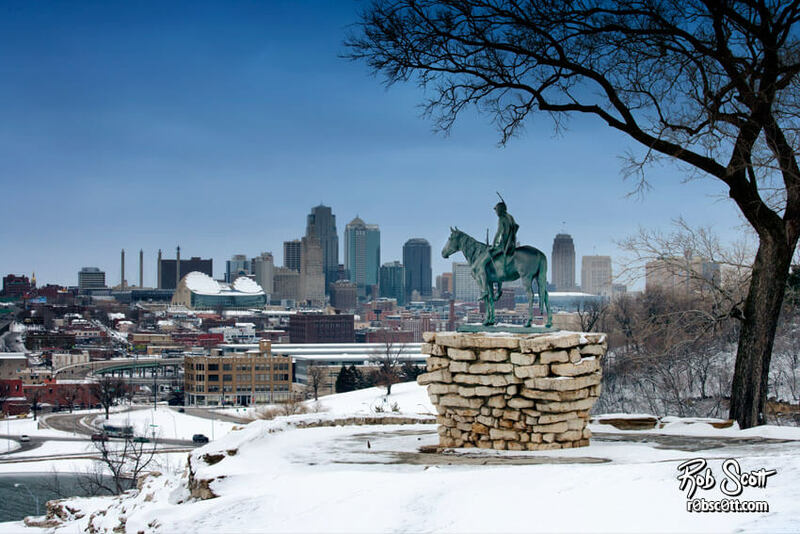 It provides an iconic foreground image to put up against the skyline of the city to create a completely unique to Kansas City shot. The ten foot tall statue, depicting a Sioux on horeseback was created in 1910 by Cyrus Dallin. It was displayed in 1915 at the Panama–Pacific International Exposition in San Francisco. On its way back east, it was temporarily put in Penn Valley Park, where it was so popular that $15,000 was raised to keep it there permanently, where it was publicly dedicated in 1922.